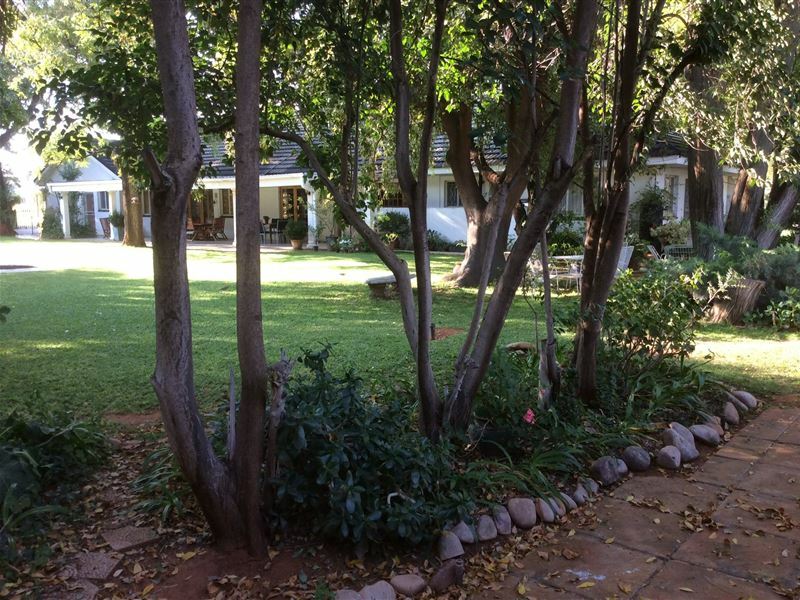 Set in large shady and tranquil gardens we offer affordable luxury accommodation with single, double and family rooms, all en suite and all situated in the garden to ensure tranquility and privacy. 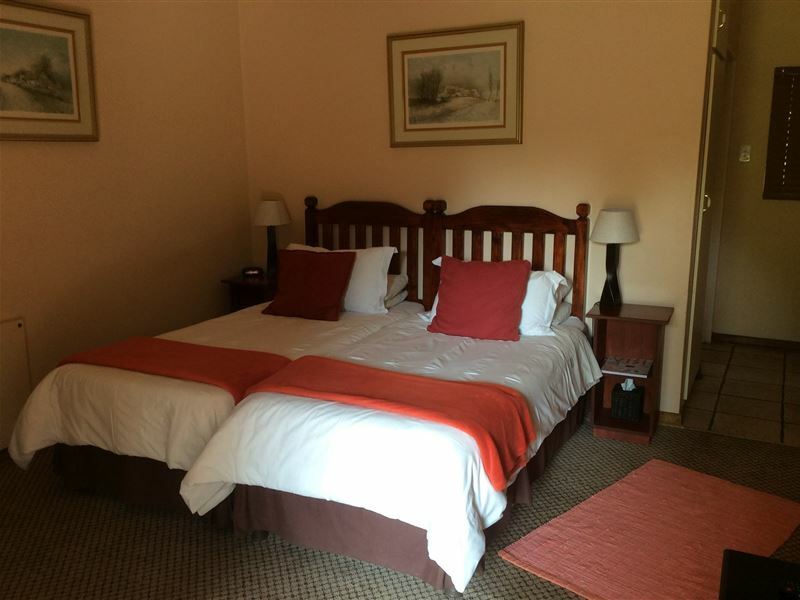 We have air-conditioning, fans, electric blankets, TV, tea and coffee making facilities, swimming pool, braai facilities and secure parking. 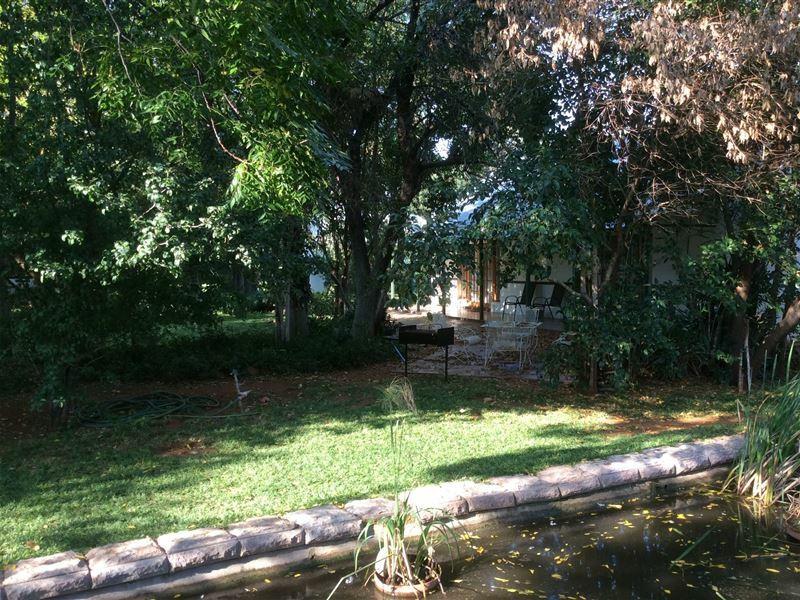 All rooms have wide verandahs where you can sit and enjoy the Northern Cape sunset and the abundant birdlife in our garden. Small pets welcome on leashes. We also offer a full English breakfast to begin your day. Close to all tourist amenities. Tour guides can be arranged. 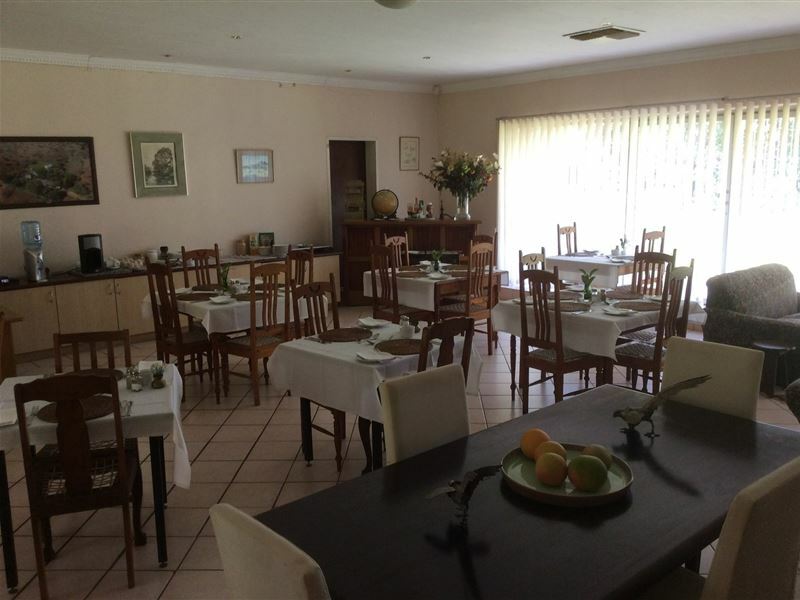 Breakfast at R80.00 per person. 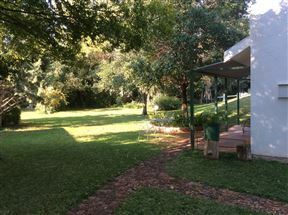 Family room, apart from all the others, has a double bed, two single beds, full en-suite bathroom, central air cooling and ceiling fan, small kitchenette with fridge, toaster, kettle, microwave, sink, crockery and cutlery, and a sliding door out into a private garden with lovely lawns and trees and braai facilities, exclusive for the use of our guests. DSTV and free Wi-Fi available in the rooms. Full cooked breakfast upon request at R80 per person. Secure parking close to the room. 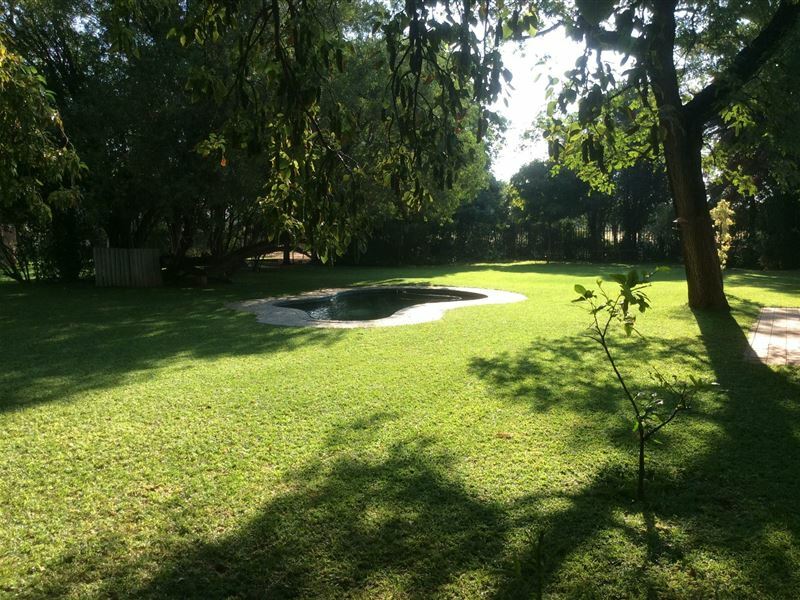 Two Single rooms, for one person only, have a single bed, desk, dressing table and chair, wardrobe, arm chair, air-conditioning and ceiling fans, DSTV, tea and coffee making facilities, clock radio, a bathroom with shower, toilet and basin, and the rooms open on to the garden and trees. Free Wi-Fi available in the rooms. Full cooked breakfast available at R80 per person. Secure parking close to the rooms. 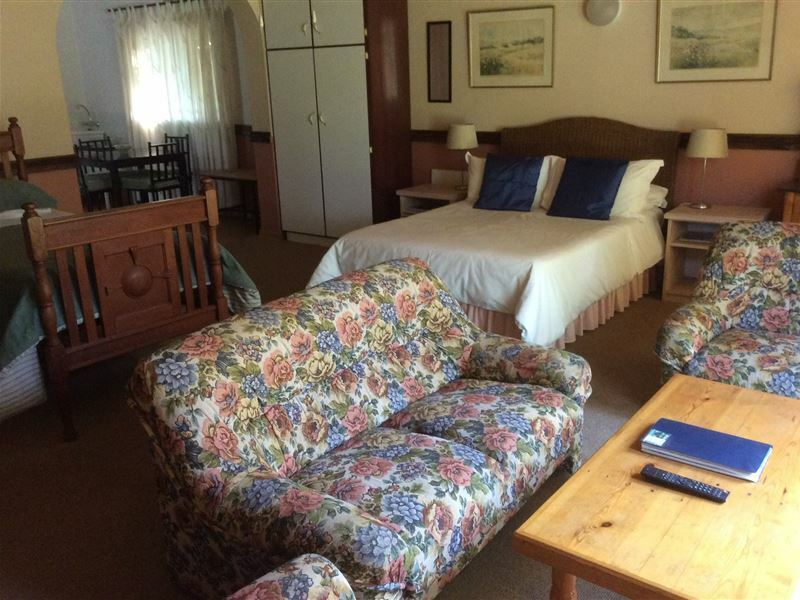 Six Double rooms, for two people sharing, have a full en-suite bathroom, air-conditioning and ceiling fan, TV, desk, dressing table, wardrobe, two armchairs, double beds or twin beds, DSTV, clock radio and a small kitchenette with microwave, fridge, kettle and toaster. 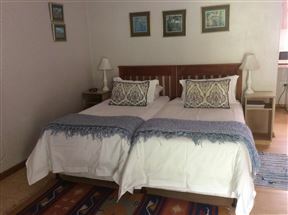 Two of the rooms have double sleeper couches which can sleep two children only, under the age of 10 with an extra charge per child. All rooms are out in the garden in blocks of two, and all open onto the lawns and trees. Free Wi-Fi available in the rooms. Breakfast upon request at R80 per person. 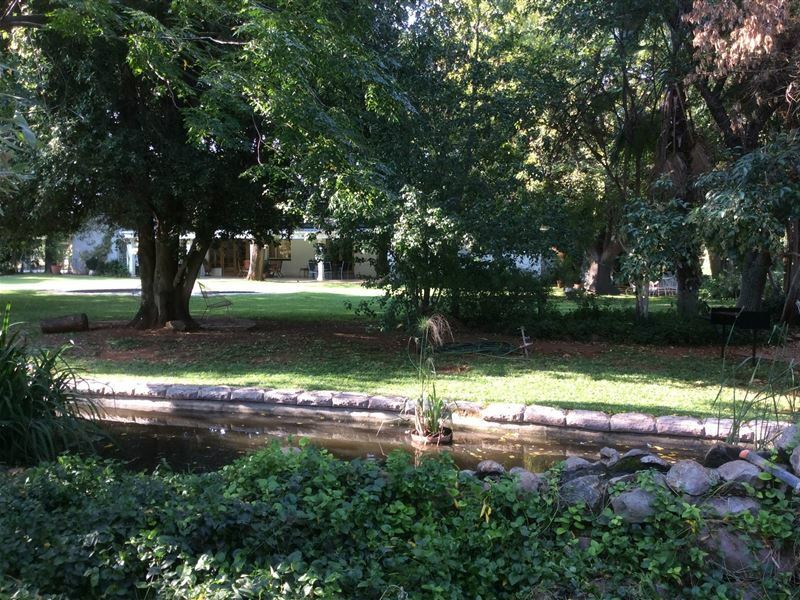 Secure parking close to the rooms and braai facilities available for our guests use. Three large double rooms for two people sharing, have en-suite bathrooms, double beds, air-conditioning, desk/ dressing table, wardrobes, large sofa's, DSTV, clock radios and tea and coffee making facilities with a fridge. 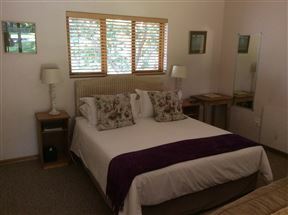 More secluded from the other rooms with lovely views of the garden and the trees. Free Wi-Fi available in the rooms. Breakfast upon request at R80 per person. Secure parking close to the rooms. Braai facilities available for guests use. I loved the cleanliness and the way we were greeted. I also liked the fact that breakfast was served compared to the place we just came from. I searched for bnb and got exactly what I wanted. Awesome place this and I will definitely be back. By the way we are staying for another evening. John & Pat are excellent hosts who know when to offer advice and when to leave the guests to their own devices. Their brand new accommodation is excellent and spacious and was far more than we expected. 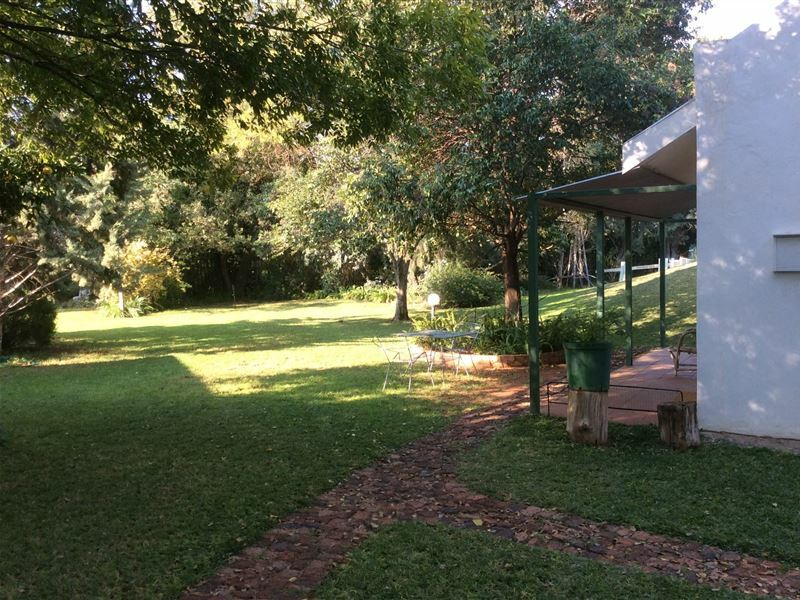 If we are ever in Kimberley again you can be sure we will stay at 5 Acres. We had a pleasant stay in green environs. John and Pat were most hospitable and were also most flexible in attending to changes in our requirements. We were warmly received by Pat and John in their beautiful garden. 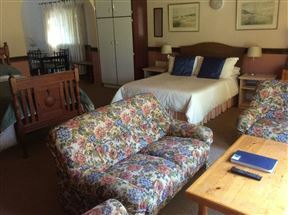 The room was lovely, although the beds were a little narrow. However the space for hanging clothes was much too short - even my husband&apos;s clothes were resting on the floor. - run by professionals and we thoroughly enjoyed it. The self-catering unit that we stayed in was well appointed and clean. We thoroughly enjoyed making use of the superb gardens. A memorable evening was spent having a glass of wine during sunset under the trees.